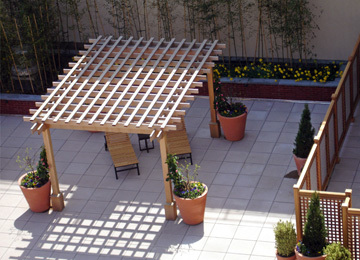 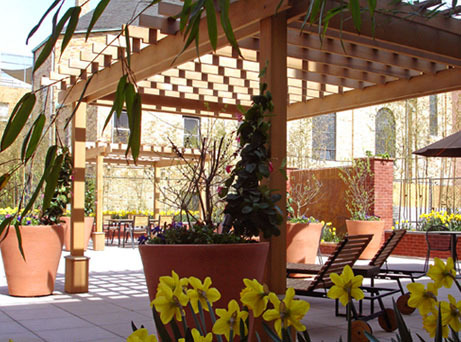 This pair of pergolas provides significant shade coverage and defines two seating areas in a courtyard located over a parking garage in Brooklyn, NY. 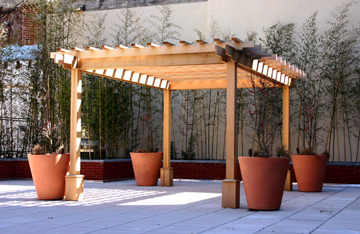 A simple design with plinth bases conceals special attachment brackets designed for this rooftop application. 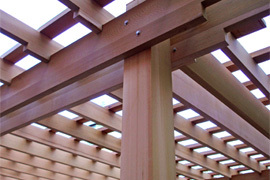 Additional images of this project including privacy fencing can be seen in the Newly Completed Projects section.